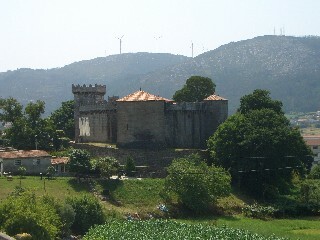 Vimianzo is a medium sized town some 30 minutes inland from Finisterre. 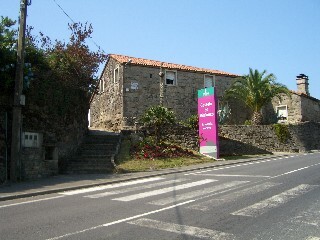 We decided to check it out because we had come across some information on a castle within the town that housed some kind of museum dedicated to Galician national dress. In actual fact our translation was confused and the castle now houses a permanent and working display of traditional crafts, all accommodated in the old fort. You can see a range of near obsolete trades from the making of hats and clogs to the traditional Galician embroidery and (miniature) boat building. You can also purchase the finished articles, although they are quite expensive. The castle is small, but still quite impressive and you take a good look around it whilst observing the various crafts people at work. There is also a room set aside with interactive displays and information about the building, its past and present use (though not in English). There are people on hand to tell you about the castle, but again none spoke English during our visit. 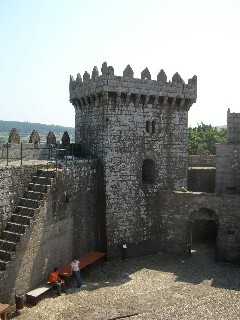 Visitors can walk on the ramparts and also around the outer walls of the castle. The town is nothing special in itself, but it is set with a rural backdrop and has a couple of old stone churches and some shops and cafes. 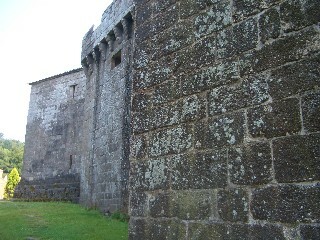 Our visit was directed to the castle and we did little exploring beyond that. There is a main road that runs the length of the town and Vimianzo is easily reached from the coast and other inland towns. 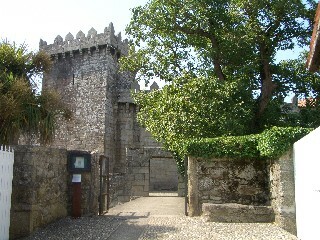 Whether or not you should visit this particular Galician locale should be based almost entirely upon you interest in the castle and its contents. If you have no interest in the castle, or the crafts displayed within it, I suspect the town may not warrant an appearance on your "places to visit" itinerary.